Paddy Earnshaw is the chief customer officer at parcel collection service Doddle and is obsessed about saving people time to do more fun stuff than wait around for parcels. 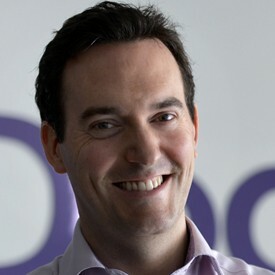 Paddy looks after all sales and marketing functions for Doddle but realises it’s largely the customers that give the business the best ideas. He’s helped grow the business through the expansion of the store network and by looking after more than 500,000 click-and-collect customers to date. London: the world's first click and collect city? The MTS will set out what new transport infrastructure is required, how London will manage population growth and what will be done to protect the environment. This last point on environment is one of Mayor Sadiq Khan’s most publicized policies; to restore London’s air quality to legal and safe levels and to make travel greener. Since the last MTS in 2010, the volume of parcels delivered to UK consumers has grown from 440 million to one billion. Unlike housing or transport, dealing with the consequences of residents’ online shopping habits is a fairly recent phenomenon. While Boris Johnson called for more click & collect hubs to help consumers manage deliveries in a manner that was less damaging to our environment. The chance to lead the world in this respect is there for the taking for our Mayor. Of the 100,000 vehicles on London streets in 2016, Val Shawcross, Deputy Mayor, estimates a fifth of these are light vans (LGVs). Between 2012 and 2015, there’s been a 10.5% increase in the mileage of LGVs in London, over a similar time period (2011-2015) London’s population has increased 5.7%, while ecommerce parcel deliveries have increased 78.19%. With the UK’s online shopping habit growing steadily year on year, the number of parcels delivered to UK consumers is projected by Apex Insight to grow from 1 billion in 2017 to 1.4 billion in 2020. Of this, industry sources estimate about 13.5% of this parcel volume is delivered within Greater London. To deliver 189 million parcels within the M25 to homes by 2020, might require 1.4 million vans on London roads every year. A situation which runs counter to the aims of the Mayor. The challenge of delivery is that 55% of consumers say there isn’t someone at home during the day to accept their deliveries, this results in a failed delivery, the cumulative impact of which costs the industry £780 million per year. The impact of a failed delivery can double or even treble the mileage per parcel, as it results in the parcel being delivered back to the distribution or sorting centre, with subsequent re-delivery attempts made. Exacerbating the impact on the environment from every home delivery. Londoners are changing their habits; 21% now regularly use their workplace as their personal PO box with 8% receiving a delivery to work, daily. For employers this creates the headache of rising costs to staff corporate mailrooms and also negatively impacts companies progress towards sustainability and increases their carbon footprint. Having deliveries made to work is actually more environmentally friendly than having them made to home. The reason for this is consolidation. However, it does create challenges elsewhere. Speaking about the impact on congestion of people having their deliveries made to work, Leon Daniels, managing director for surface transport at Transport for London (TfL) said in an interview with the Financial Times in October 2016 that “the right thing for any responsible person to do is to have their Amazon parcels delivered to their home”. However, it can be argued this is robbing Peter to pay Paul, as encouraging delivery to home over work is not an environmentally responsible approach as there is no consolidation benefit derived from home delivery. In fact, forcing consumers to have their parcels delivered to home increases the number of vans needed on the road each day as a result of the reduced capacity of each van by having to make individual stops to individual homes, instead of consolidated deliveries of many parcels to each large office. Rather than see London consumed by 3.7 million vans trying to deliver to individual homes or overload businesses with the rising cost of deliveries, there is an alternative that ensures Londoners can still receive their next day online orders. Click and collect. The consolidation benefit offered by channelling consumers ecommerce deliveries through click and collect instead of home delivery can reduce the number of vans needed on London roads by as much as 65%. For instance over the course of a 10 hour shift, a regular delivery van can deliver 133 parcels to individual homes, versus 600 parcels to consolidated parcel hubs such as Doddle. The London Assembly Transport Committee released a report in January 2017 called London Stalling, reducing traffic congestion in London. In the report the committee recognise the consolidation benefit of click and collect as a way to improve the efficiency of delivery in the capital and have suggested that TfL should reintroduce the concept of parcel collection at tube and overground stations. TfL boasts a unique estate worthy of consideration for click & collect, with 382 locations across tube and overground stations that could offer a click & collect network able to accept anywhere between 23,000 and 210,000 parcels per day or up to 76.5 million parcels per year. The challenge TfL has faced previously trying to introduce click & collect at tube stations has been very limited trials with single operators, for instance individual retailers such as supermarkets. Tackling this a second time around, there have been advances in the technology that powers click & collect, such as Doddle’s own technology which enables hosts of click & collect locations to accept deliveries for consumers from any online retailer, regardless of the carrier delivering that parcel. The establishment of a network of TfL locations for the collection of deliveries from any carrier, any online retailer, would be an amazing benefit to Londoners. As a leader in change, London already has all the tools to address the challenge and impact of deliveries on our society. It requires collaboration between our city leaders, transport executives and the wider industry including carriers, retailers and click and collect providers to find the right solution. Educating consumers around the impact their delivery choices have on the environment and showing them how they can act responsibly is another key tenant to achieving change. Ultimately, it’s in everyone’s best interest to find a solution that works and allows London to keep shopping and keep moving, in a cleaner, more efficient way.